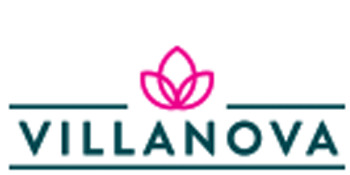 After the great success of Amaranta Phase 2, Dubai Properties now launched Villanova Amaranta Phase 3. This new residential development is easily accessible to Villanova as it is located close to the intersection of Al Ain Road, between Academic City Road and Emirates Road. Villanova Amaranta 3 is comprised of stunning contemporary Spanish-themed 3 & 4 bedroom townhouses equipped with lush green spacious gardens, private parking, utility spaces, playground, sports court, and a swimming pool. Villanova Amaranta 3 is a true family destination and is located near the intersection of Al Ain Road between Emirates and Academic City Road with easy access to Sheikh Zayad Road. The residences are surrounded by lush green landscaped spaces and offer ample of amenities. Villanova is in close proximity to the central location between Dubai International Airports, Al Maktoum International Airport and Expo 2020 Dubai site. It continues to be the main attraction for everyone. Villanova Amaranta 3 will focus on communities and offers a perfect place for families to live together in their home. This luxury living offers uniquely designed two storey layouts featuring perfect floor plans for comfortable and relaxed lifestyle. 3 bedroom townhouses 1,917 sq. ft. - 1,939 sq. ft.
4 bedroom townhouses 2,252 Sq.ft. © 2019 Villanova Amaranta 3, All rights reserved.